The class system, and how it deeply affects people’s lives, is almost a taboo subject in American movies. Having a snobby, upper class villain bested by a spunky, middle class hero is as close as most films ever get to broaching the topic. The fact that Bennett Miller’s powerful new movie, Foxcatcher, grapples directly with this thorny subject, is just one of the many things to make the film worthy of recommendation. Few sports better evoke society’s class divide than the two at the center of Miller’s film: Greco-Roman wrestling and fox hunting. The former conjures images of sweaty high school gyms while the latter is associated with royalty. Fact: The Queen of England doesn’t wrestle. 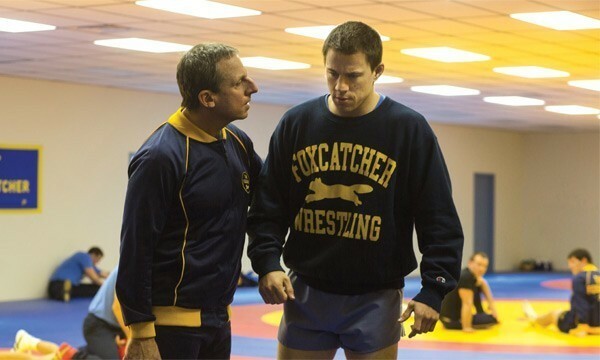 Like Miller’s earlier movies, Capote and Moneyball, Foxcatcher is based on a true story. John DuPont (Steve Carrell), a scion of the famed chemical industry family and one of the world’s richest men, seemed destined for the fox hunt. However, he preferred the grittier pleasures of wrestling. A quick comparison between Olympic gold medalist Mark Schultz’s tiny apartment above a convenience store and DuPont’s palatial mansion instantly reveals why it proved so easy for the billionaire to lure the young wrestler, played by Channing Tatum, into his world and essentially buy the US Olympic wrestling team. Wrestlers never receive the lucrative sponsorships and commercial endorsements lavished upon Olympic athletes in more glamorous sports like gymnastics, figure skating and skiing. DuPont initially tries to recruit both Mark and his older brother, fellow Olympic wrestler Dave Schultz (Mark Ruffalo). When Dave refuses to uproot his wife and kids, DuPont turns his focus entirely to the younger Schultz. Mark, who had always been overshadowed by his charismatic brother, is thrilled to find himself in charge of the team. John whisks Mark and his teammates off to his palatial Foxcatcher Farm, a place that would be an Eden if it weren’t for the increasingly unstable behavior of its lord and master. Before long, Mark surrenders to John’s lavish lifestyle and the strong air of parental approval that DuPont offers him, blinding him to his patron’s dangerous derangement. 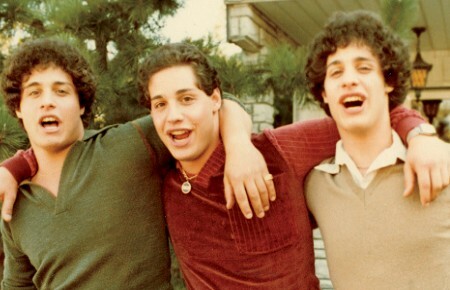 The subtle nuances of Foxcatcher’s script are made vivid by the film’s talented cast. Steve Carrell and Channing Tatum are especially memorable as DuPont and Schultz, each bringing out the deep emotions beneath the surface of these two verbally inarticulate men. Carrell’s unsettling turn as the needy, angry DuPont will stun those who know him only as a comedian and any preconceptions of Tatum being just another pretty boy should end with this powerful performance. They are ably supported by the always-excellent Ruffalo as Dave Schultz and Vanessa Redgrave as DuPont’s eternally disappointed patrician mother. Foxcatcher is simultaneously intimate and revelatory about the gaping economic chasms in our society. Although the events explored in this gripping drama happened in the 1980s, Foxcatcher couldn’t be timelier, arriving at a moment when many Americans are starting to see the true costs of inequality.